Greenville-Pitt County offers abundant activities for players when they are not on the field. The following article appeared in the North Carolina State Sports Guide. Download the full guide below. What does it take to make your sports event go from good to great? It means going beyond the basics and carefully curating an experience that is engaging, fun and will be memorable for years to come. This is why many sports planners have come to choose Greenville, NC as the site of their events – it is vibrant, offers plenty to do off the field, and is home to the knowledgeable Greenville-Pitt County Convention & Visitors Bureau staff who are ready to help you take your event to the next level. Greenville is a nationally-known city among several youth sports and is also home to East Carolina University, which brings with it a lively atmosphere with a passion for sports. All in all, this destination is one that should be at the top of any sports planner’s list. Just 10 minutes from the ECU campus, you’ll find a selection of versatile playing fields, all surrounding a quaint lake that makes for the perfect backdrop to any event. The North Recreational Complex features eight multi-purpose fields and one championship field, along with walking and jogging trails. This is the perfect setting for cross-country, where runners can follow any of the six trails or the 5k running route. The 18-hole disc golf course offers a unique layout, and the fields are a popular spot for Ultimate Frisbee, with invitational tournaments taking place throughout the year. East Carolina University’s facilities are state-of-the-art and home to some exceptional collegiate talent. These same venues are also available for tournaments, meets, competitions, and other events that sports planners are putting together throughout the year. Be sure to check out the 50,000-seat, fully lit Dowdy-Ficklen Stadium, home to the Pirates’ football program; the 8,000-seat ECU Williams Arena at Minges Coliseum for both basketball and volleyball games; and the 1,000-seat Stewart Johnson Soccer Stadium. Greenville has a strong connection to baseball, and in particular, Little League. Stallings Stadium at Elm Street Park is a premier choice when planning an event in the region, and is the site of the 2018 Southeast Tournament of State Champions. 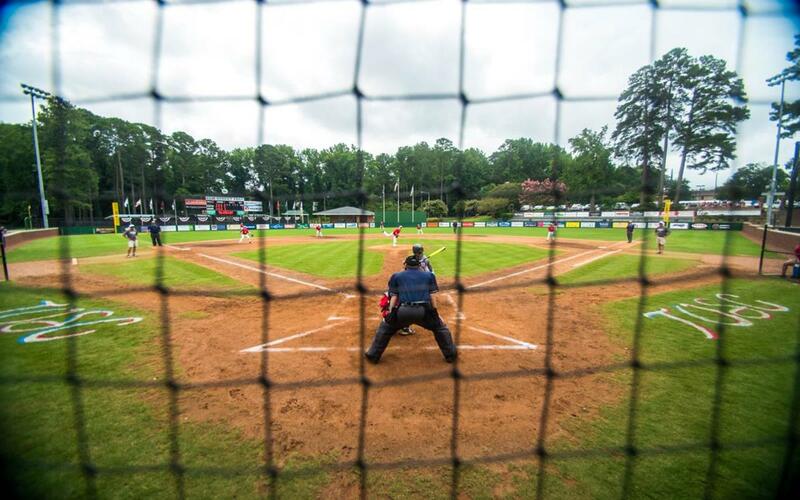 The stadium is also the permanent home to the Greenville Little Leagues City Championship Series, and could be the site of your next big event! While players have been stepping up to the plate here since the 1950s, the stadium itself was completely renovated in 2012, making for a state-of-the-art experience. There are 234 stadium seats, 400 right field bleacher seats, and additional space for lawn seating – in all the stadium can seat around 1,000 spectators. 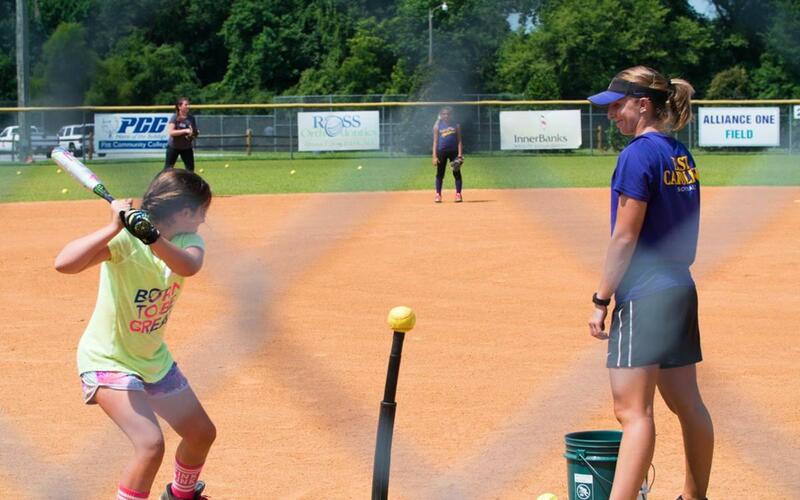 In the world of softball, Greenville is arguably among the top contenders. The all-female Pitt-Greenville Babe Ruth squads have won several World Series titles in recent years, and made it all the way to the World Series in 2018, too. 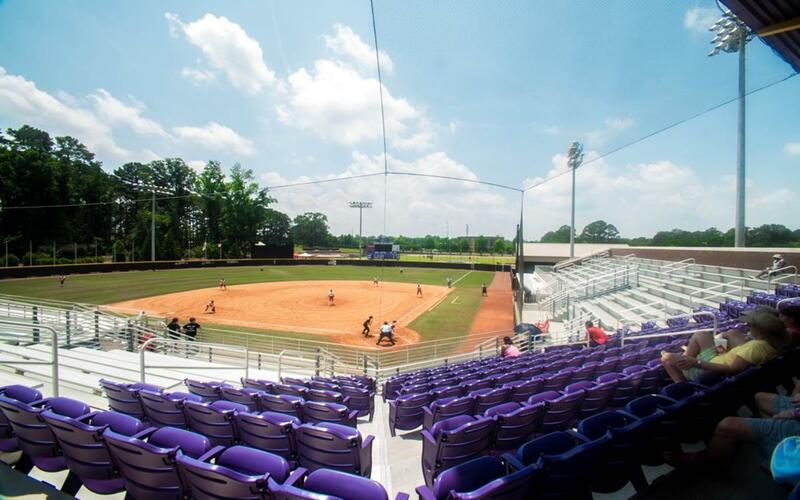 So, it makes sense that Greenville would be home to some of the best softball facilities that the nation has to offer. The Sarah Law Softball Complex has hosted its share of champions and is home to the Pitt County Girls Softball League as well as many fastpitch tournaments throughout the year. It offers a 4-field lighted complex with restrooms, parking, a concession stand, and meticulously maintained landscaping – all creating the perfect recipe for a successful softball event. Sports planners can’t help but love the space that’s available at the impressive Greenville Convention Center. Its 32-acre campus provides over 91,000 square feet of single-level meeting space, a 28,800-square-foot exhibit hall, and over 400 guest rooms for hotel accommodations. An event planning committee is onsite to help sports planners make the most of their event and ensure that everything runs smoothly and that everyone, both fans and players, have a memorable visit to Greenville. The convention center also offers built-in concessions, ticket booths, and two on-campus restaurants, so visitors have everything they need all within reach. 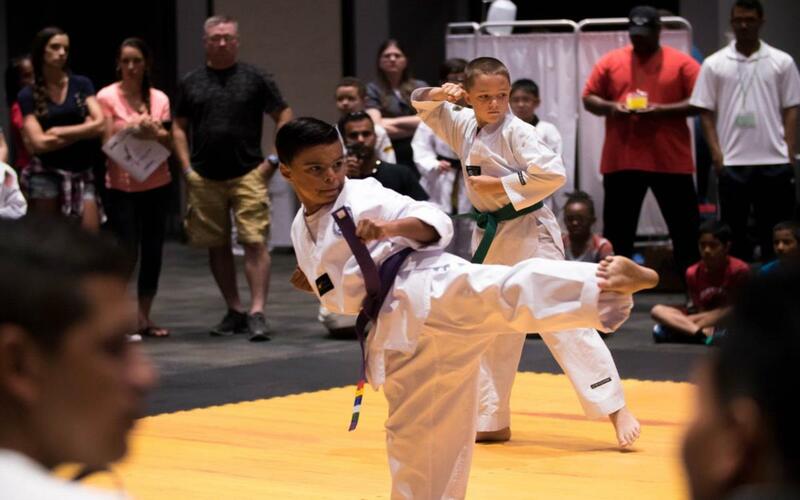 Whether you’re planning a cheerleading competition, gymnastics meets, weightlifting competition, or any other number of indoor events, be sure to check out the Greenville Convention Center. 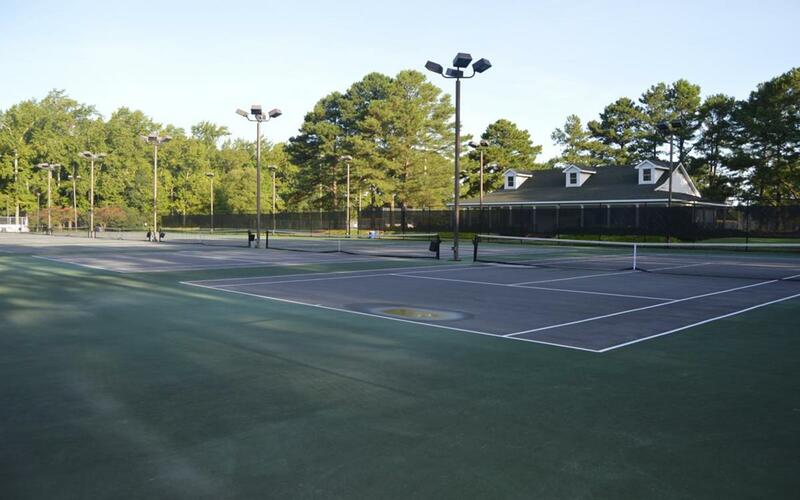 Just south of downtown Greenville is a pristine tennis facility that is perfect for events and tournament play. The River Birch Tennis Center features eight lighted courts, a community center, and a picnic shelter – perfect for any event. This facility has played host to such events as the Greenville Junior Championships, the Pitt County Special Olympics, and more, so you know it is a tried and true venue among sports planners. For the ultimate aquatics facility in the Greenville region, look no further than Aquaventure, a 28,000-square-foot facility offering eight lanes in a 25-yard heated pool with depths of 3.5 to 5 feet. The center is perfect for hosting events, with a classroom area that can serve as event HQ, and an exercise area for warmups and cooldowns. You will also find locker rooms with showers, a lounge area with Wi-Fi, and a spacious parking lot. 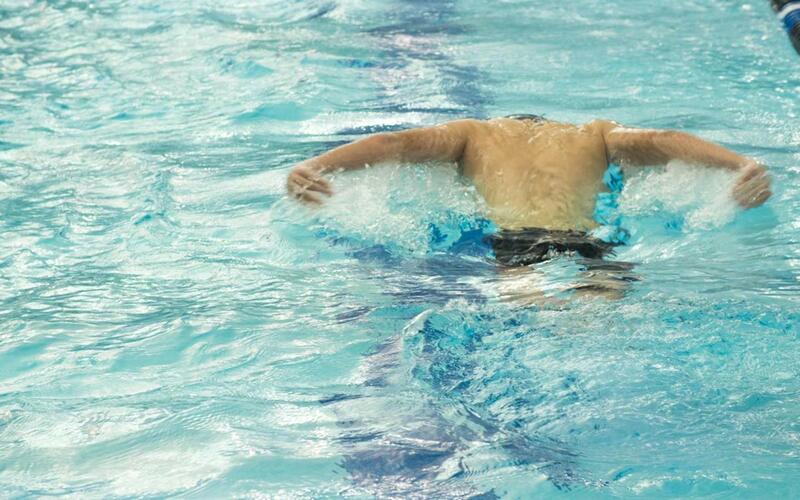 The center just opened within the last two years, so you can be sure that athletes and spectators alike will enjoy state-of-the-art facilities in one of the best swim centers around. 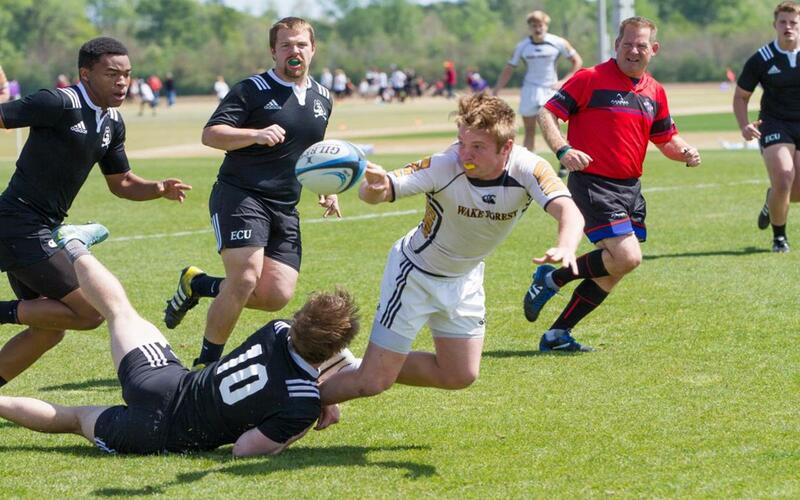 While sports may be the focal point of your visit to Greenville, there is so much to see and do off the field that you will have no problem coming up with an action-packed itinerary. The Greenville region is lush, beautiful, and serene, making it a great place to get out and explore nature. And what better way to experience an area’s natural beauty than from its waterways? 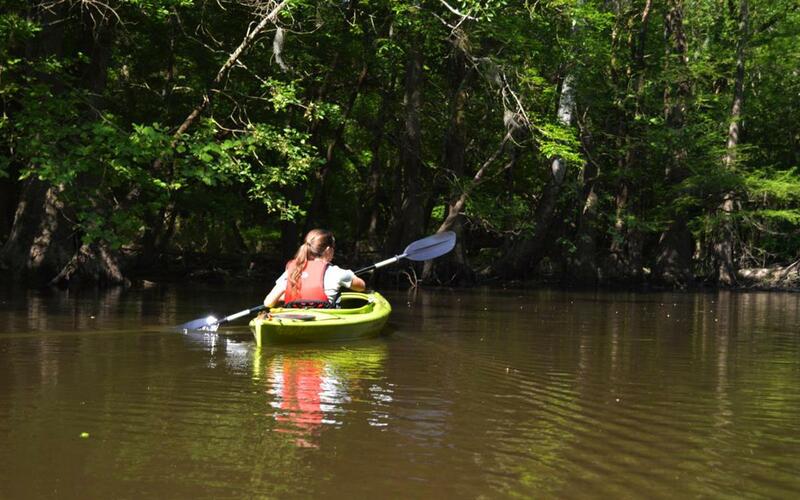 Knee Deep Adventures is a watercraft outfitter that rents out kayaks and stand-up paddleboards (SUP) so you and your group can navigate the Tar River and explore the forests at a leisurely pace. For another peaceful getaway, check out River Park North, a 324-acre park with something for everyone – there is camping, fishing, hiking, picnicking, and boating, and the park is open to visitors year around. For a bit of educational insight into the natural surroundings and waterways of Greenville, pay a visit to Walter L. Stasavich Science & Learning Center, which is located inside River Park North. The center houses a 10,000-gallon aquarium, a 70-seat theater, a turtle touch tank, and more. It’s a great way to learn more about the flora and fauna of the region while engaging with fun and interactive exhibits. The culinary scene in Greenville is thriving – making it the perfect place for athletes, coaches, and chaperones who are hungry after the big game. For a hearty meal and a taste of real southern barbeque, check out the Pitt County Brew & Cue Trail, which is perfect for adults looking to explore the bourgeoning barbeque and brewery scene. Pick up your official “PassPork” at the Greenville-Pitt County Convention and Visitors Bureau and see how many of these local stops you can try! You can even redeem your stamped PassPork at the CVB for some great prizes. For a treat to satisfy anyone’s sweet tooth, head to Simply Natural Creamery in Hookerton where there are ice cream sundaes and cones galore. You can also take a tour that includes a wagon ride, milking barn visit, and even the chance to pet some baby calves. If you’d prefer to harvest your own sweet treats straight from one of the local farms, you can do just that at the third-generation Brock’s Farm. Once thriving on the production of cotton and tobacco, it is now a produce farm where strawberries, blackberries, tomatoes, sweet corn, and watermelons are ripe for the picking. FIRST North Carolina was thrilled to work with the Greenville-Pitt County Convention & Visitors Bureau both before and during our high school robotics competition at ECU last March. They were instrumental in helping us secure hotels for our teams, meals for our volunteers and so much more. They are one of the best CVBs we have ever had the privilege to work with in our planning. It’s always a pleasure working with the Greenville, NC CVB because they take an active role in assuring the pieces are in place for success. From community contacts to experience and expertise, the CVB flexes its muscles to help meet your needs. By car: Greenville lies at the confluence of many state highways and interstates so that no matter your point of origin, you can be sure that all roads lead to Greenville. If you’re coming from points west such as Raleigh-Durham, head east on US-264 for about 90 miles, and from Charlotte head northeast on I-85 to US-264 for about 250 miles. By air: About an hour and a half to the west of downtown Greenville is Raleigh-Durham International Airport, which offers countless domestic and international flights to meet travelers’ needs. For connections to and from the city of Charlotte, local Pitt-Greenville Airport offers flights via American Eagle.